Today we are bringing to you The Diabetics Guide to Eating Right because I like to think that we are not just a food blog but a healthy food blog. Over the last few years I’ve had friends and family who’ve struggled with diabetes, and realized that with our high calorie Indian diet and sedentary lifestyle, it’s pretty easy to suffer from high sugar. But with a little self control, mindful eating, the right exercise and regularly monitoring of your blood sugar, you can change your lifestyle to manage diabetes, prevent and even reverse it. So we thought it’ll be interesting to put together a quick guide to help you manage this group of metabolic diseases. Good protein like yogurt, eggs, beans, cheese etc. 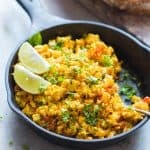 Paneer Bhurji: Super fast paneer bhurji or cottage cheese scramble with turmeric and spices for an easy to make Indian breakfast. One pan and ready in 15 minutes! 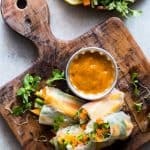 Mango Bell Pepper Rice Paper Rolls: These mango bell pepper rice paper rolls are the perfect summer food – stuffed with lots of fresh veggies and served with an insanely delicious mango cilantro dipping sauce! Naturally gluten free, vegan and low carb! 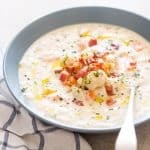 Creamy Cauliflower Chowder: Creamy Cauliflower Chowder is a healthy, easy, comfort food recipe and ready in under 30 minutes. It’s gluten free, low carb and keto friendly. In spite of being careful and eating mindfully, it’s important to regularly monitor your blood sugar levels. It’s a factor that should not be ignored as it can be the one thing that can help you improve your lifestyle and manage diabetes (more on this in the sections below). Who doesn’t like desserts? I have a sweet tooth all the way to the moon, but with a little self control and with a few substitutions I’ve managed to turn my sweet cravings into healthier choices. It’s a myth that people with diabetes can’t have sweets and desserts. Instead of skipping them entirely and spending the whole night thinking about it, eat them in moderation, and switch from processed sugar and grains to unprocessed sweeteners such as jaggery, maple syrup, honey and whole grains such as quinoa, chickpea flour etc which are more nutritious, easier to digest and just as delicious! Healthy Quinoa Apple Kheer: Healthy quinoa apple kheer is a low calorie Indian festival dessert, full of fiber and nutrition and a perfect way to celebrate festival food with your family! Quinoa is full of good nutrients and is the latest superfood. 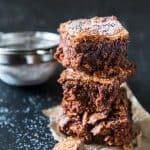 Easy Gluten Free Chickpea Flour Brownies: Easy, gluten free brownies made with chickpea flour (besan) are fudgy, chocolatey and irresistible! You will never guess that there is no all purpose flour in this healthy treat. Substitute sugar for a natural sweetener for an even healthier brownie. These desserts are a healthier take so that you can still satisfy your sweet tooth without compromising on flavour. Now you may not agree, but alcohol basically has no nutrition value and can be really high in calories, especially when you have one too many. Like everything else, if you are a diabetic, start moderating your alcohol intake. Cocktails can be especially lethal because the mixers used to make them are usually high in sugar. If you must, switch to whiskey, gin or vodka and use soda or water to dilute your drink instead of reaching for a sugary soda. Squeeze some fresh lime juice and mint leaves to flavor your drink instead of mixers. This one actually applies to everybody, but it becomes even more important if you are suffering from high blood sugar levels. Exercise helps improve your metabolism and always leaves you with happy feelings at the end of a workout. Regular exercise keeps your heart healthy and your waist line in control. Overweight individuals have a higher chance of suffering from diabetes so regular exercise can actually help prevent it if you are at risk. Don’t take exercise lightly, and make sure to include 30 minutes to an hour long workout at least 3-4 times a week. The above tips can not only help you manage diabetes but prevent it. But if you are already a diabetic, regularly monitoring your blood sugar levels is as important as everything else, if not more. Many diabetics get into a comfort zone once their diabetes is under control and do not realize that factors like illnesses, stress levels and even medication can spike it. Using a glucometer like the Alere G1 can ensure that your diabetes is always in check. It’s an easy to use device which compared to other glucometers in the market has the widest measurement range of 10-900 Mg/dl which is quite impressive. What sets the Alere G1 apart in my opinion is the fact that they use 99.9% pure gold in their test strips. Because gold is the best conductor of electricity, the brand gives super accurate result. You can compare your tests with lab result to know how accurate this brand is. The test strips, despite being pure gold, are priced the cheapest in the market. These test strips are available in packs of 25s, 50s, or 100s on Flipkart & Snapdeal if you’d like to check them out. Another great feature is the strip ejector button, which eliminates the manual touch to throw a used test strip. Just point towards the dustbin and press the strip ejector button. The strip is discarded automatically, making it more hygienic compared to other brands and helps prevent infections. I also think Alere G1 is very cost effective, especially is larger families, because it lets you maintain up to 5 patient records with one device. So if there are other members in your family who are also diabetic, you don’t need to spend on another expensive glucometer. The Alere G1 will help measure how your diabetes medication is impacting your blood glucose level, know how your diet & exercise impact your blood sugar and recognize how other factors such as illness & stress affect your blood sugar. Most people don’t understand this but just by using a glucometer and monitoring your blood sugar levels regularly, you can save thousands in hospital costs. You will always be informed and your health is actually in your control! We hope that our 5 step diabetics guide to eating right helps you manage and prevent diabetes. Do you have any other recommendations or suggestions that can help others too? Leave us a comment and let us know! 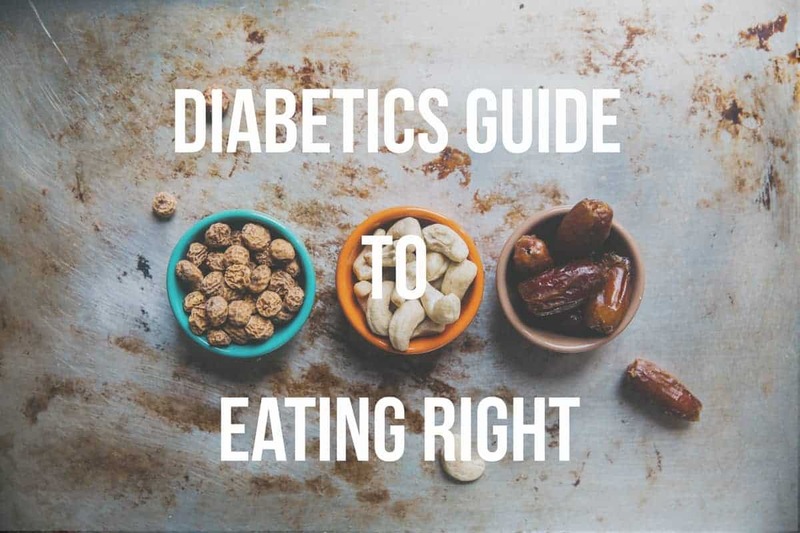 This post – the diabetics guide to eating right is sponsored by Alere G1 Glucometer but all thoughts and opinions are my own. Thank you Richa for the wonderful guide to prevent Diabetes. I’m going to follow this guidance from you. Thanks Monica, so glad you found it helpful!